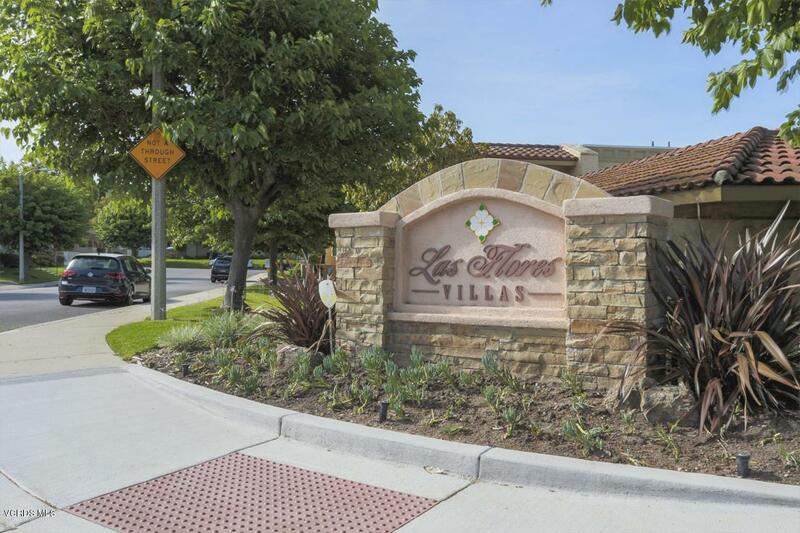 Great end unit townhome located in the nicely maintained complex of Las Flores Villas. This 2-story townhome is light and bright and move in condition! Spacious dining area with sliding doors leading to patio for outdoor entertainment and mountain views. Larger master bedroom with walk-in closet, secondary guest bedroom and 2 bathrooms plus 1/2-bathroom downstairs. It has both hardwood and tile floors throughout and NO carpet! Updated with dual paned windows and shutters, large patio area, attached 1 car direct access garage and one numbered parking space. Community pool, tennis court, and guest parking. Close to freeways, schools, parks, dog park and shopping. Included with the sale is a refrigerator, washer, dryer and television. These don't come on the market often! Inclusions: Washer, Dryer, Refrigerator and Television.